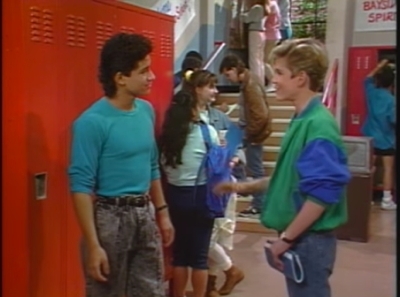 Saved by the Bell was only on the air for four seasons—five, counting Good Morning, Miss Bliss, an aborted Disney Channel series that NBC retooled to shift the focus from a popular teacher to a popular student and his friends. And six seasons, actually, if you count a short-lived sequel about the gang’s college years. 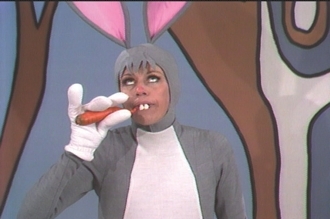 But the show quickly became iconic. If you were a kid growing up in the late ‘80s and first half of the ‘90s and caught the show on Saturday mornings, these were your people. 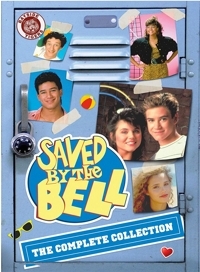 Even before the cancellation, several Saved by the Bell novels were published featuring the TV cast in familiar plots, and over a four-year period fans devoured 21 of those books. Then in 2006 Cartoon Network’s Adult Swim started advertising that Saved by the Bell would begin re-airing on their network and spread the rumor that the series was back in production again. It was a hoax, but the public’s reaction was so spirited that three years later Jimmy Fallon decided to launch a petition campaign to coax the powers that be into creating a Saved by the Bell reunion show. There were parodies and various cast appearances, but a reunion show never materialized—unless you count The Tonight Show Starring Jimmy Fallon sketch that starred six of the eight actors from the series. 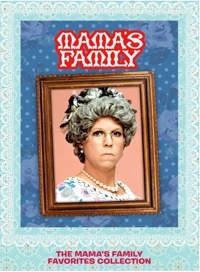 Mama’s Family was a spin-off of “The Family,” a series of sketches on The Carol Burnett Show starring Burnett and Harvey Korman as a married couple saddled with Burnett’s character’s outspoken and overbearing mother, played by Vicki Lawrence. Lawrence donned a wig and spectacles and, as was typical of the sketch comedy to come out of Burnett’s weekly variety show, the character she played was more of a caricature. The sketches themselves were less realistic than they were the stuff of community theater, but those sketches were popular enough to prompt Burnett’s ex-husband, Joe Hamilton, to back a TV movie titled Eunice, which led to Mama’s Family. With Burnett and Korman only making guest appearances, Lawrence drives the comedy with her over-the-top rendition of a feisty old woman who drinks beer from the can and juggles homespun quips and insults with equal ease. She’s not the only caricature, though, and the situations in this sitcom are so “sketchy” that I’m tempted to call it a sketchcom instead. Mama’s Family placed as high as #28 its first season, but viewership dropped off so abruptly in Season 2 that the show was cancelled and revived in syndication, with four more seasons of episodes created. During the show’s six-year run (1983-1990), it earned two Emmy nominations—both for costume design—and won once. During that same period, sitcoms like Cheers, The Cosby Show, The Golden Girls, The Wonder Years, and Murphy Brown took home most of the awards. 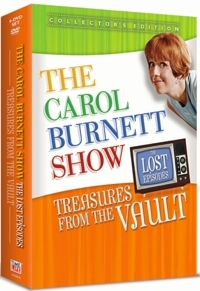 This six-DVD set is a highlights collection, and NOT all episodes from the show’s six seasons. It features Lawrence’s favorite episodes, though her favorites don’t always match up with fan favorites as listed on a number of fansites. There’s an episode of Friends where an out-of-work Chandler takes an internship and, surrounded by twentysomethings, confesses that he feels old . . . though, he quips, he’s not exactly Bob Hope. “Who?” they say. “You know. Bob Hope. USO . 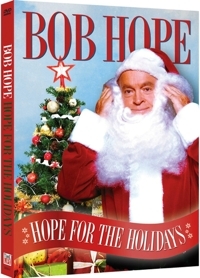 . . ” to which one of them responds, “Uh, USA.” A year before Friends launched, an already old Bob Hope hosted a Christmas special that would turn out to be one of his very best. But if young people had no idea who Bob Hope was back in the nineties, they certainly won’t now. 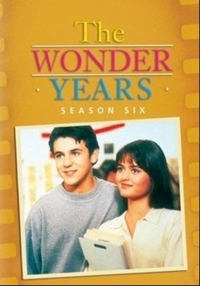 Just as moviegoers watched Harry Potter grow up, so a generation of TV-viewers saw Kevin Arnold go from age 11 to 17 on the popular coming-of-age series The Wonder Years. Narrated in retrospect with an adult Kevin voiceover, like Stand by Me, it’s about as all-boy as it gets, despite plenty of female characters. So much so that my teenage daughter isn’t a fan. She doesn’t want to keep hearing what a teenage boy is thinking—especially when it comes to teenage girls. 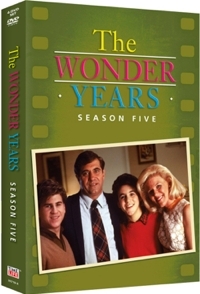 Still, as Fred Savage (Kevin) writes in the liner notes to The Wonder Years: Season 6, families watched it together when it first aired, and now a new generation of parents are sharing it with their children. 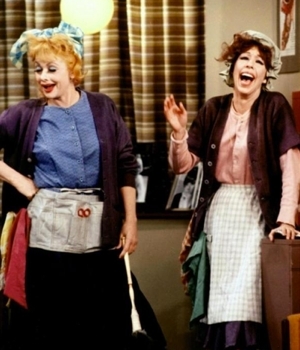 It remains the best period TV series on growing up in the turbulent sixties and early seventies, and young Bernie supporters will certainly identify with an episode this season in which Winnie catches McGovern fever and works day and night to try to help the Democratic presidential nominee get elected. Kevin volunteers too, but only because of his girlfriend, and because he’s jealous and suspicious of the local campaign boss. As for Kevin’s straight-laced, always-serious dad, Jack Arnold (Dan Lauria), he of course thinks Nixon’s the One. An episode about a friend of the family who returns from Vietnam with post-traumatic stress syndrome is also both topical and powerful. For a TV sitcom, The Wonder Years had a penchant for telling it like it is, and episodes this final season are geared more toward a PG or even PG-13 audience. In one, Kevin leads his buddies to believe that he and longtime girlfriend Winnie Cooper (Danica McKellar) “did it,” while in another a still-committed Kevin is tempted to have a fling with another girl at a wedding . . . but instead drinks an entire bottle of champagne by himself and gets totally plastered. In yet another episode he sneaks out of the house, despite being grounded, and takes his father’s new car without permission. That’s right. Kevin, though basically a good kid, is far from a model citizen. The Wonder Years is a rarity among TV sitcoms because it’s both original and authentic. You’ll find few familiar or recycled sitcom plots here, and a voiceover narration by an adult Kevin replaces a laugh track because in addition to being funny The Wonder Years also provides a poignant account of one boy’s coming of age in the ‘60s and ‘70s. The focus may be on Kevin Arnold (Fred Savage), and the time period may be nostalgic for some and mythic for others who watch, but the situations, emotions, and outcomes are universal. It’s why the show still works, even though it aired from 1988-1993. You don’t have to have seen the first four seasons to appreciate Season 5, which offers the added bonus for Friends fans of featuring David Schwimmer in four episodes as the serious boyfriend of Kevin’s sister, Karen (Olivia d’Abo)—both of whom appear in bonus feature interviews. This season Kevin crushes on a young smoker while on a family vacation, he endures a first day of high school that turns into his worst nightmare, he wrestles with a first job and first boss, he gets in the middle of a Grease-style high school couple’s problems, he and three friends talk an older boy into trying for his driver’s license so they can all go “cruising” for girls, he finds himself kissed by his older brother Wayne’s (Jason Hervey) girlfriend, he joins a losing soccer team, he tries to treat his father to a dinner that’s ruined by Dad’s (Dan Lauria) annoyance with his sister, he tries to get out of attending the annual Christmas party his family throws for the neighborhood, his family friendship with Paul’s (Josh Saviano) family is threatened when the latter comes into money, a popular black teacher gets in trouble for her unorthodox methods, Wayne decides to join the Army, Kevin becomes friends with the school’s basketball star, he stumbles through dates with different girls, he and friends plan to sneak into an R-rated movie, he hosts a poker party when his parents leave town for the weekend, and the whole family is drawn into Karen’s pre-marital drama. By season’s end, Kevin is thinking hard about getting back with Winnie. This four-DVD set (single sided discs on plastic non-overlapping “pages”) features 24 episodes, and there isn’t a single one I’d rate lower than a B-. Most fall in the A- range, and this season the series, known for its vintage music, features music by The Archies, Frankie Avalon, Bachman-Turner Overdrive, Joan Baez, Bread, James Brown, The Byrds, Canned Heat, Patsy Kline, Creedence Clearwater Revival, Benny Goodman & His Orchestra, Joni Mitchell, Van Morrison, The Platters, Linda Ronstadt, Sly & the Family Stone, Sonny & Cher, Ringo Starr, The Stylistics, Traffic, The Turtles, Muddy Waters, and Andy Williams.